Salesforce VoIP Integration from Improcom allows your business to combine our Salesforce Computer Telephony Integration (CTI) with Improcom VoIP business phone service. 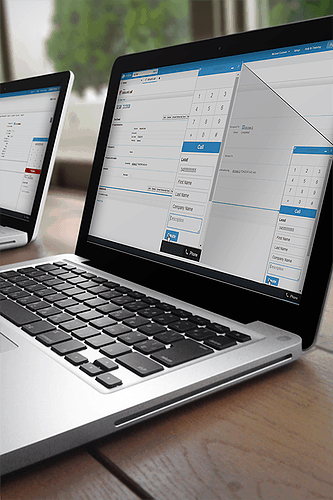 Together your business can use advanced features such as incoming call screen notification and account lookup, advanced call logging, reporting and call statistics. Salesforce is the world’s #1 CRM solution giving power to your sales and support teams from the cloud. With an array of cloud-based tools that increase productivity, Salesforce keeps your business armed with the power to close deals like never before, keep the pipeline filled with solid leads, and score more wins. No software. No hardware. No speed limits. Now take Salesforce to the next level with VoIP Integration from Improcom. Call Notes & Follow up Tasks allows you to log what you discussed on your call and set future tasks and reminders without delay! 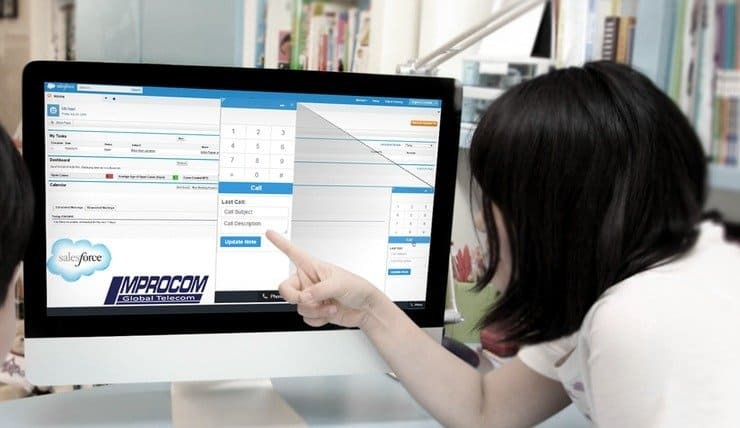 Integrating your Improcom VOIP Phones with Salesforce VoIP Integration and our Salesforce Consumer Telephony Integration gives your business the edge when making & receiving calls. Watch our online video for more information about how your business can benefit from our Salesforce VoIP Integration CTI.